Notting Hill is a great place for tourists, because there are so many fantastic things to see and do. Although the Notting Hill Carnival is one of the biggest draws over the summer, there are plenty of other things to see and do during the rest of the year. Here is some inspiration for your visit to the area. The Notting Hill Carnival takes place at August Bank Holiday. Millions of people descend on Notting Hill to celebrate Caribbean culture in the United Kingdom. The streets are filled with flamboyant costumes, marching bands, Calypso and Soca music, and the aromas of delicious Caribbean cuisine. The Portobello Road street market is one of the largest street markets in the United Kingdom. This market runs every day of the week except Sunday. Saturday is the best day to find antiques, vintage clothing and street food from around the world. This museum is one of the quirkiest attractions in Notting Hill. It charts the rise of consumerism from the Victorian era to the present day. There are over 12,000 original items of packaging, advertising and other consumer branding. Displays explain how British consumer behaviour has changed over the last two centuries. Visiting info can be found here. Graffik is the first gallery in London which is entirely dedicated to street and urban art styles. Visitors can see works by artists like Banksy, Stik and Alec Monopoly. As well as displaying examples of street and urban art, the gallery occasionally runs graffiti workshops to help to introduce people to urban art culture. The Electric Cinema was opened in 1910 and was one of the first purpose built cinemas in the UK. As such, the building currently has Grade II listed status. The interior of the cinema is small but plush, preferring to promote viewer comfort over an increased number of patrons. The cinema now shows a mixture of Hollywood blockbusters and small independent films. Although there are a number of companies that run unauthorised film tours, it is also possible to visit many of the film locations without a guide. You can visit the famous coffee shop, the blue flat door, and the Coronet cinema amongst other things. The public park at Holland Park can be easily accessed from Notting Hill. The park includes a semi-wild woodland area, as well as several formal garden areas. There are two beautiful Japanese memorial gardens to the victims of the nuclear bombing in Kyoto and the Fukushima nuclear accident. There is also an open air performance space which is regularly used during the summer months. It is possible to see a 19th century brick kiln on Walmer Road. This brick kiln helps to highlight the history of the Notting Hill area. Before Notting Hill became a suburb of London, it was mainly known for its pottery and brick production industry. The area previously contained a large number of these kilns; however this is the only surviving example. KensalGreen Cemetery sits on the outskirts of Notting Hill and offers the perfect example of a gothic Victorian cemetery. Although it is not as famous as London’s Highgate cemetery, it is still an interesting place to visit. There are around 65,000 graves in the site, containing an estimated quarter of a million individuals. Notable burials in the Kensal Green Cemetery include; Isambard Kingdom Brunel, Anthony Trollope, and William Makepeace Thackeray. Ingrid Bergman, Freddie Mercury and Alan Rickman were also cremated at the Kensal Green Crematorium. The Trellick Tower dominates the skyline in Notting Hill. Construction began in the 1960’s based on designs by Brutalist architect Erno Goldfinger, but was not completed until 1972. 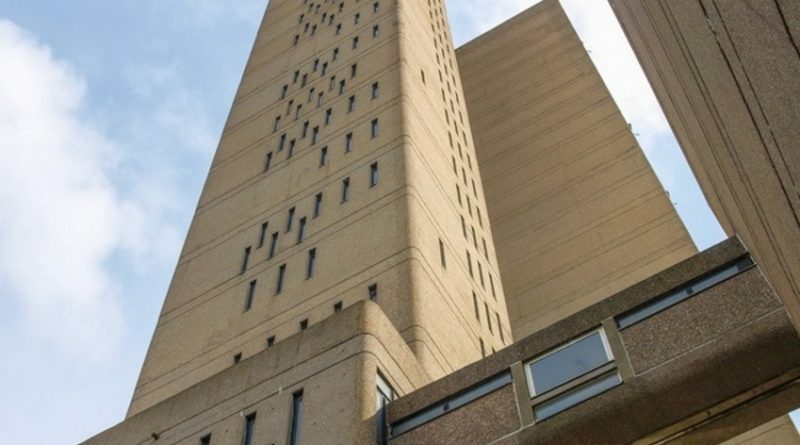 By the late 1970’s, the tower was considered to be rife with anti-social behaviour, and was regularly a crime scene. However, a concierge was introduced in the 1980s and life inside the tower began to improve. Although the building has been awarded Grade II listed status, the tower block still divides public opinion. The Trellick Tower was the inspiration for the J.G. Ballard dystopian novel High Rise, which was released in 1975.